The ongoing huge projects that Rwanda is currently executing have pushed the country’s trade deficit by 9.5%, Central Bank Governor John Rwangombwa said while announcing quarterly economic outlook. 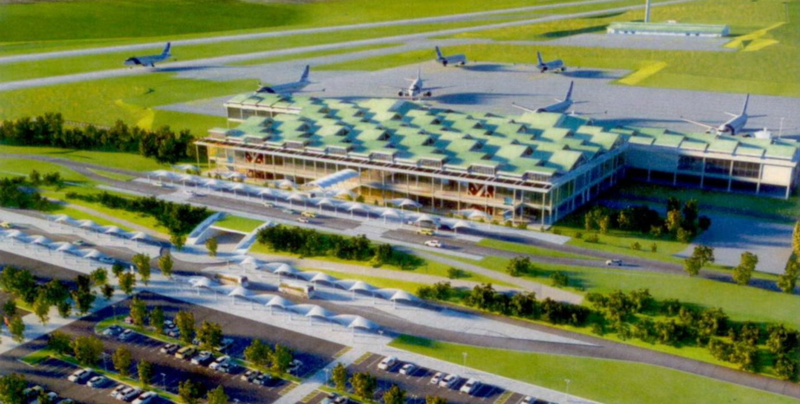 Rwangombwa said that construction of $818 million Bugesera International Airport in Eastern Province, $350 million Gisagara peat energy plant in Southern Province and several roads currently under construction across the country is attributed to the increase in import bills. “Rwanda’s formal trade deficit increased by 12.4%, resulting from the rise of import bill by 9.5% that outweighed 5.5% increase in export earnings,” Governor Rwangombwa told journalists at Central Bank headquarters in the capital Kigali. In addition to big projects, Rwangombwa said that demand for intermediary goods for industrial construction was among other factors. The country has weighed up ‘Made in Rwanda’ policy – but will still need to dig deep and establish more industries that mainly produce materials for infrastructure projects. Meanwhile, Central Bank’s quarterly Monetary Policy Committee (MPC) meeting projected stable macroeconomic conditions throughout 2019 – based on positive trends registered last year, with predicted moderate inflationary and exchange rate pressures. According to Governor Rwangombwa, inflation remained low throughout 2018, with headline inflation decreased to 1.4% in 2018 from 4.9% in 2017 on account of lower inflationary pressures from food prices. “In 2019, inflation is expected to be around 3% on average,” Rwangombwa said predicting a stable exchange rate where the country’s franc against the US dollar stood at 4.0% last year. According to Central Bank, several indicators such as good performance in the agriculture sector (6.3%), service sector (8.0%), and industry sector (9.3%) as well as a positive performance of the banking sector facilitated the country’s GDP growth to stand at 8.3% throughout three quarters of 2018. Central bank said in the MPC statement released on February 7, that interest rate on transaction between banks (money markets) continued to thrill around Central Bank’s lending rate, while Commercial Bank’s lending and deposit rates slightly decreased respectively standing at 16.96 % and 7.51% in 2018 from 17.17% and 7.72% in 2017. The banking sector also experienced a decline in credit risks while demand for authorized loans increased. The demand for loans in value also continued to increase at 29.7% in 2018 from 10.8% in 2017, while non-performing loans ratio decreased to 6.4% from 7.6% with a loan rejection rate dropping to 21.9% from 31.0%. Going forward, Central Bank said that projected risks to the Rwandan economy will mainly be due to uncertainties of the global prospects. The bank projects global growth to be at 3.5% and 3.6% in 2019 and 2020 respectively.